Virtual sports has been steadily growing with bookmakers internationally for some time, but Kiron Interactive is taking it a step further by bringing them onto the casino floor. Race Kings “brings the betting shop to the casino” by allowing large numbers of customers to simultaneously bet on the outcome of virtual races. Each race is broadcast on a large screen in front of multiple terminals, ensuring the thrill of the race track is transported to the casino. Steven Spartinos explains the evolution of the product and why it’s a fit for the casino. Casino International: What is Kiron’s background? Steven Spartinos: Kiron has been around for 13 years. We started in the online space with a virtual horse racing skill game, in which players got to look after their horses with their own unique pedigree and race against a community of players for real prize money. As a trainer, the player had to recognise a horse’s strengths and put them in to the right races and so on. We launched this in 2001, and took it internationally. From there we developed a betting element, and we started offering betting on our virtual races, the skill-based races. We then developed our first online fixed odds instant win betting game, which from an online perspective allowed people to bet on virtual races on demand. In 2007, we decided to extend the portfolio and invested in a platform that would accommodate not only virtual racing but other virtual sports, on a platform that could be deployed in retail betting venues. So the birth of our Virtual Sports Events platform came about and that launched in early 2008. We developed the first iteration of these games on the platform and started marketing them into bookmakers as an alternative to what they knew. Now that virtual sports are more regulated internationally, it is a product type that is gaining greater acceptance from a sports betting perspective. We have seen the same sort of trend coming through from casinos as well. They’re saying, it’s an interesting product we believe our clients would enjoy. What we did as an entry into the casino space, going back a couple of years, is to provide a product suite called RaceDay into one of our big casino clients. We developed the product for them to provide a loyalty and marketing-based racing product. The intention was to try and incentivise attendance in their casinos and spend on the casino floor. It’s a bonusing game, therefore, that can be effectively released in one of three formats: a tournament-based structure, so the casino would run a racing event whenever they want to, which works well for VIP customers in a race day kind of event; that product has now been extended into a sweepstake and a pools-based product, which integrates with the casino management system and the actual bonusing suite. So now, as players play slots and tables, it tracks their play. Based on certain levels of spend, the game prompts that they have been given entry into a RaceDay event, at a predetermined time. You have to be at the casino to win, so it keeps players in the casinos, or to return to the casino at a later date. It’s worked very well and has proved quite lucrative for casino operators. From there, we decided to take it one step further and take the betting product directly to the gaming floor with the launch of RaceKings. CI: Tell us more about RaceKings – how does it work and why should a casino adopt it? SS: It’s a casino-based offering that takes virtual sports into a casino environment. 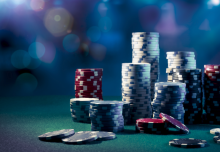 We take a format that casino players are typically more accustomed to playing, in terms of the way it’s laid out, the configuration, using gaming machines and the like. It’s also trying to appeal to a sports betting audience in the casino itself. Typically, our products have been deployed in betting-style venues, but we now offer self-service betting terminals as well. For the casino player, you want something that’s a bit more engaging, more entertaining for the client. So we endeavoured to produce a more social scenario, where you have, for example, a bank of 15 machines. On those machines you might have 15 players who are betting on the same event. Essentially, it’s a schedule-based system, so it counts down each event, which are configurable by the operator. They can create a schedule of, say, a variety of virtual sports, playing one after the other in three-minute intervals, or you can allow the provision of more than one event running at the same time. Picture a terminal with an interface that provides you with a number of events with a countdown. The player has a touchscreen from which they can choose what they are interested in. We’re giving the player the ability – if they are interested in a particular genre of game (and I’m saying this because it’s not just for virtual sports, it’s also for number games and we have started out with Keno as an introductory product) – to choose exactly what they are interested in. If the player wants to see Keno-themed games, there is a screen dedicated to Keno. Or they can bet on the Keno in combination with a virtual sport or another number game. It’s providing a variety of different content simultaneously, and through that, allowing for quite rapid play. CI: Has RaceKings been trialled anywhere? SS: The solution has been piloted for the Asian market in Vietnam, and it will hopefully be rolled out to mainstream casinos in major markets shortly. Yes, it’s a relatively niche product in that it’s not a slot or a table game, but it has a home within a casino. What we’re seeing is operators approaching us for differentiated content, and products like this virtual sports concept in a format they can use on the gaming floor. Typically, this would be hosted in a dedicated venue in a casino, or in their sports betting section, or in a bar area with sports betting. That doesn’t have to be the case, though. RaceKings will roll out with horseracing theme as a start. We will be introducing Keno soon, before virtual greyhounds and motor racing follow within 2014. Other genres of sports and numbers games will then be added. CI: What’s next for Kiron then? SS: It’s a breath of fresh air to see this evolution in the industry. In the server-based gaming space in particular there are some interesting developments and products. Ours is one of those products. This is a platform that can cater not just for virtual sports but a variety of number style games with a novelty edge to them. We can innovate and bring new games that will prove popular. But to start, we are introducing our traditional products and we will grow the portfolio from there. We’ve always believed that continuous investment in research and development is the way forward. For that reason we always ensure that the latest enhancements in our products are in line with the latest technologies. That’s why we currently have a mobile deployment in testing, meaning it won’t be long before virtual content will be available both in venues and on the move. We don’t believe in a one-size-fits-all solution, which is why we tailor each product to suit the operating systems and environment of our customers. As their players seek the next thrill in their casino, at the betting shop, or on their mobile app we will be on hand to deliver it – and at a competitive price. Our portfolio of satisfied blue chip clients will vouch for that.